Molly is a young female who is just all kinds of fun. She was rescued from a local kill shelter when her time was almost up. From the marks on her neck, it was obvious that she had spent her life on a chain. She has healed though, and the marks are no longer visible. While her breed is unknown, she looks to be a mix of some type of bully breed and possibly Lab. Molly has average-high energy and would do best with an active owner who can give her daily exercise. 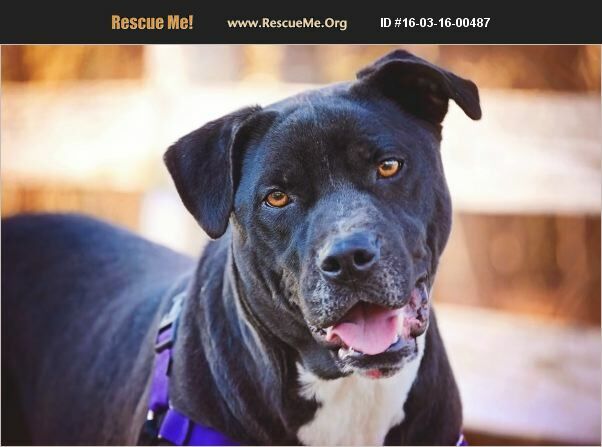 She has done well around other dogs in rescue, but would probably prefer to just be the only dog. Molly is approximately 4 years old and is just a great dog. She loves riding in the car, walks, playing ball, squeaky toys, and pretty much everything. She is a confident girl and deserves a good life! Molly weighs in at around 55 lbs. and has a shorter/thicker build. Molly would make a great addition to a family or would be a wonderful best friend for a single person. She is spayed, crate trained, has done well with housebreaking (though she will likely need a refresher), microchipped, up to date on all vaccinations, and ready for her forever home!